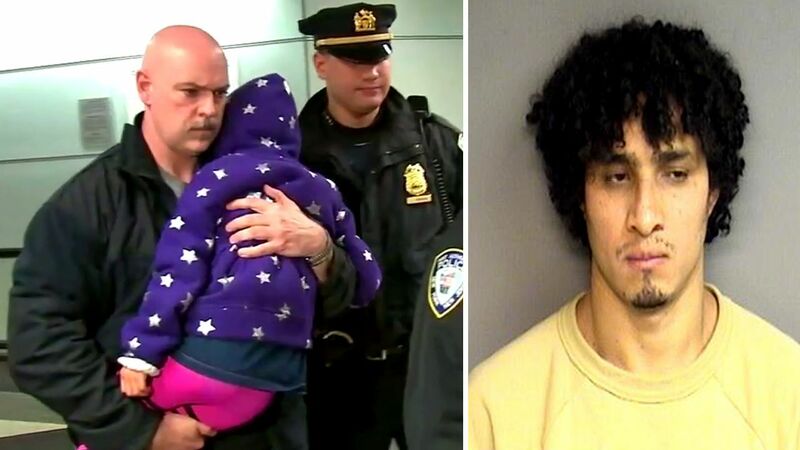 MIDTOWN, Manhattan (WABC) -- The man accused of killing his wife in Connecticut and then dropping their 6-year-old daughter off at a public building in New York City last month has been charged with murder, as new details emerge in the case. Elmer Gomez Ruano, 32, was charged with murder in the death of his estranged wife, 24-year-old Dionicia Cano Bautista, on November 14. He is due to appear in court in Stamford on Friday. Stamford police said the day before the murder, Cano Bautista and her daughter moved from Flemington, New Jersey, to Stamford to reunite with Gomez Ruano at his home on Courtland Avenue. He is the father of their child. The next morning, the estranged-the-reunited couple got into an argument, and that's when police said Gomez Ruano killed Cano Bautista. From there, detectives said Gomez Ruano took their daughter to the Port Authority Bus Terminal in Manhattan, where he abandoned her. The girl caught the attention of workers, and told Port Authority police her dad left her there, saying he would be right back but he never returned. Police caught up with Gomez Ruano four days later near a homeless shelter on Clay Street in Greenpoint, Brookly. He was arrested on a charge of risk of injury to a minor. The murder charge was added Thursday. Gomez Ruono worked as a dishwasher and has no criminal record.